What is the minimum age to work onboard cruise ships? 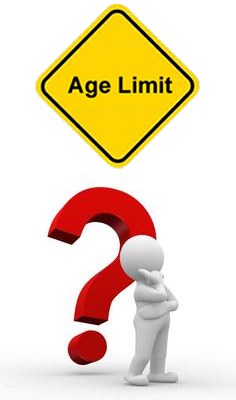 Is there a maximum age that cruise lines will not hire an applicant? Here are some answers. In general, the minimum age to work on cruise ships is 21 years old. Although there are some exceptions, where the minimum age to work onboard is 18 years old. The minimum age to work on cruise ships is actually higher than what is required by international law. According to the Maritime Labour Convention 2006, the minimum age to work onboard ships is 16 years old, but the Convention states that employment of seafarers under the age of 18 shall be prohibited where the work is likely to jeopardize their health or safety. Also, consider that the age of majority in most countries is 18years old. US-based cruise lines such as Lindblad Expeditions and American Cruise Lines have a minimum age to work onboard as 18 years old. Norwegian Cruise Line’s Pride of America is a US-flagged ship and they also have a minimum age requirement of 18 years old. Alternatively, Sea Chefs, a European crew management company, has a minimum age of employment of 18 years old. Consider for all cruise lines, positions such as room steward, bartender, or jobs in the casino, individuals must be at least 21 years old. There are a couple of other exceptions to the minimum age requirement of 21 years old to work on cruise ships that sail in international waters. Production show dancers and singers are hired at a minimum age of 18 years old. Also, cadets in the Deck and Technical Departments can start working onboard cruise ships in their cadetship as young as 18 years old. Although there isn’t a maximum age to work on cruise ships, the unfortunate truth is that cruise lines don’t hire many applicants over the age of 35 years old. That said, there are crewmembers over the age of 35. Many are in management positions after making cruise ship life a career. Furthermore, there are some cruise jobs that are actually better suited to a mature crewmember. Age can equate to experience for some positions. Cruise ship jobs suited to mature candidates include Future Cruise Manager, Youth Staff, Port and Shopping Guide, Event Planner, Guest Entertainer, and Finance Manager. Consider though, a potential crewmember must still pass their Marine Medical and prove to an employer that they are medically and physically fit. Will they be able to work 11-hour days with no days off for months on end? Will they be willing to share a cabin with another crewmember? Not to mention, every two years, a crewmember must continue to pass their medical exam prior to working onboard.